This article is about the Daft Punk album. For the type of computer memory, see random-access memory. For the Paul McCartney album, see Ram (album). Random Access Memories is the fourth studio album by French electronic music duo Daft Punk, released on 17 May 2013 by Daft Life and Columbia Records. The album pays tribute to late 1970s and early 1980s American music, particularly from Los Angeles. This theme is reflected in the album's packaging, as well as its promotional campaign, which included billboards, television advertisements, and a web series. Unlike their previous studio album, Human After All (2005), which was produced using two guitars, two drum machines, a vocoder, and an eight-track machine, Daft Punk recruited session musicians to perform live instrumentation and limited the use of electronic instruments to drum machines, a custom-built modular synthesizer, and vintage vocoders. The album features collaborations with Giorgio Moroder, Panda Bear, Julian Casablancas, Todd Edwards, DJ Falcon, Chilly Gonzales, Nile Rodgers, Paul Williams, Nathan East, and Pharrell Williams, and was the duo's first album released through Columbia Records. Random Access Memories became Daft Punk's first album to top the US Billboard 200, selling over 339,000 copies in its first week of sales, and also topped the charts in over twenty-five countries. Its lead single "Get Lucky" was a critical and commercial success, topping the charts in over thirty countries and becoming one of the best-selling digital singles of all time. The album received critical acclaim, appearing on several year-end lists, and won in several categories at the 56th Annual Grammy Awards, including Album of the Year, Best Dance/Electronica Album, and Best Engineered Album, Non-Classical. "Get Lucky" also won the awards for Record of the Year and Best Pop Duo/Group Performance. Shortly after finishing off their Alive 2006/2007 tour, Daft Punk began working on new material in 2008. Thomas Bangalter of the duo recalled, "the two of us would go in with a lot of keyboards, guitars, drums, and stuff and started to do demos for six, seven months." Daft Punk were pleased with the work in terms of composition, but were dissatisfied with the production aspect, as they relied on samples and loops of their own performances: "We could play some riffs and stuff but not keep it [up] for four minutes straight." Daft Punk put these demos aside and started work on the Tron: Legacy film soundtrack later in 2008. As Bangalter mentioned after the film's release in 2010: "Making music for a movie is very humbling. We’ve been working on some of our music concurrently." Daft Punk then decided to work extensively with live musicians on what would become Random Access Memories: "We wanted to do what we used to do with machines and samplers, but with people." They avoided the use of samples on the album, with the exception of the closing track "Contact". The idea was really having this desire for live drums, as well as questioning, really, why and what is the magic in samples? [...] It occurred to us it’s probably a collection of so many different parameters; of amazing performances, the studio, the place it was recorded, the performers, the craft, the hardware, recording engineers, mixing engineers, the whole production process of these records that took a lot of effort and time to make back then. The album features Chic frontman Nile Rodgers, who commented that a collaboration was "something we've [Daft Punk and Rodgers] talked about for a long time. We've respected each other endlessly." Daft Punk eventually visited Rodgers' home for an informal jam session, and an official collaboration was later confirmed and completed. Musician Paul Williams announced in a 2010 interview that he had worked with the group, after Daft Punk had been introduced to Williams by a sound engineer with whom they were mutually acquainted. In May 2012 Daft Punk's collaboration with Giorgio Moroder was announced—Moroder had recorded a monologue about his life for use in a track on the album. Rodgers was also present during the Moroder recording session. Moroder clarified that he was not involved in the composition of the track or its use of a synthesizer: "They did not let me get involved at all. Thomas asked me if I wanted to tell the story of my life. Then they would know what to do with it." Daft Punk had been in contact with Moroder in relation to a possible contribution for the Tron: Legacy score, but this never happened. Chilly Gonzales stated in an interview that his contribution was recorded in a one-day session: "I played for hours and they're gonna grab what they grab and turn it into whatever." He explained that Daft Punk prompted him at the piano in the same manner that a film director coaches an actor, and Gonzales left the Los Angeles studio without knowledge of what the final product would sound like. He had previously recorded a cover version of Daft Punk's song "Too Long" that appeared on the duo's 2003 album Daft Club. Pharrell Williams collaborated with Daft Punk and Rodgers by providing vocals for two tracks on Random Access Memories. 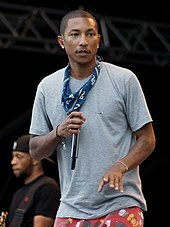 As a member of the Neptunes, Pharrell had previously provided a remix of "Harder, Better, Faster, Stronger" that appeared on Daft Club. The Neptunes and Daft Punk also co-produced N.E.R.D. 's song "Hypnotize U". Recording took place at Henson Recording Studios, Conway Recording Studios and Capitol Studios in California, Electric Lady Studios in New York City, and Gang Recording Studio in Paris, France. Having worked with keyboardist and arranger Chris Caswell on Tron: Legacy, the duo enlisted him and connected with engineers and other session players for their next album. Daft Punk recalled that they wished to avoid the more compressed sounds of drum machines in favor of "airy open" drum sets of the 1970s and 80s, which the duo consider the most appealing era. Bangalter clarified that "it's not that we can't make crazy futuristic sounding stuff, but we wanted to play with the past". The duo noted that the session players were enthusiastic to reunite in the context of the new album and the perceived prestige of the studio locations. Drummer Omar Hakim recalled being asked by Daft Punk to perform on the album, and was surprised by what they wanted of him. He at first assumed that the duo wanted electronic drum work, since Hakim had done some drum programming in his career. Daft Punk instead specified that they were looking to record Hakim performing acoustic drum riffs that the duo had conceived. Rather than play out the entire structure of a song, Hakim would perform individual patterns for extended periods, thus creating a library for the duo to cull from. Daft Punk conveyed their ideas to session musicians via sheet music and in some instances by humming melodies. Bangalter recalled an example in which he hummed a complex drum and bass line to Hakim, who replicated and improved upon it for the track "Giorgio by Moroder". Most of the vocal sessions took place in Paris, whereas the rhythm sections were recorded in the United States. The album incorporates a variety of accompanying performances including a horn section, woodwind instruments, a string orchestra and choir. Orchestral parts in particular were recorded for almost every track, but were only included on a few songs in the final product. The use of such performers and places came at great monetary expense, as noted by Bangalter: "There used to be a time where people that had means to experiment would do it, you know? That's what this record is about." He estimated a cost of over one million dollars, but felt that the number was not important. Bangalter stated that the sessions were financed by Daft Punk themselves, which allowed them the luxury of abandoning the project if they had so wished. He also specified that "there are songs on the album that traveled into five studios over two and a half years." 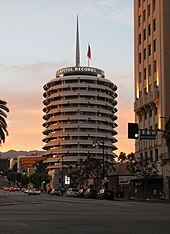 Los Angeles locations including Capitol Studios were used to record the album. Various sound effects were newly recorded with the help of film experts from Warner Bros. Bangalter noted one example in which the sound of a busy restaurant was achieved by placing microphones in front of the forks of a group of people. In another instance, the effect of dripping water was recorded on a soundstage. Use of electronics was limited to drum machines that appear on only two tracks, a large custom-built Modcan modular synthesizer performed live by the duo, and vintage vocoders. When asked which of the two Daft Punk members performed the robotic vocals on the album, Bangalter expressed that it did not matter. The duo produced most of the vocoder tracks in their own private studio in Paris, with later processing done by Mick Guzauski at Capitol. Moroder elaborated that Daft Punk would take "a week or so" to find an adequate vocoder sound, and an additional few days to record the lyrics. Although the duo felt that the presets and parameters of digital tools would inhibit creativity and innovation, they admitted that Random Access Memories could not have been made in the complete absence of computer technology. The sessions were recorded simultaneously onto Ampex reels and as Pro Tools tracks; Daft Punk and Guzauski would then listen to each recording in both analogue and digital iterations, deciding which of the two they preferred. Subsequently, the elements were edited by the duo with Pro Tools in a manner similar to how they would work with samples. In an interview conducted in November 2012 by Guitar World magazine, Fourplay member Nathan East mentioned that he had contributed to the project. The percussionist Quinn also stated that he performed on "every drum [he] own[s]" for the album. Pedal steel guitar work on the record was performed by Greg Leisz. Daft Punk sought to use the instrument in a way that bordered between electronic and acoustic. Additional session players include John "J.R." Robinson, Paul Jackson, Jr., James Genus, Thomas Bloch and Chris Caswell. 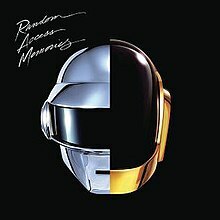 Bangalter described the album's title as encapsulating Daft Punk's interest in the past, referencing both random-access memory technology and the human experience: "We were drawing a parallel between the brain and the hard drive – the random way that memories are stored." Daft Punk felt that while current technology allows for an unlimited capacity to store recorded material, the content produced by contemporary artists had diminished in quality. Their goal was therefore to maximize the potential of infinite storage by recording a sprawling amount of elements. The duo pointed to the process as being further inspiration for the album's title, as they sought to make connections out of the random series of ideas. Random Access Memories has been noted by music critics as a disco album. Regarding the style of the album, they sought a "west coast vibe", referencing such acts as Fleetwood Mac, the Doobie Brothers and the Eagles. Daft Punk also acknowledged that the record pays homage to Michael Jackson, the Cars and Steely Dan. The recording of live synthesizer parts was done in a progressive rock fashion, with the pop sensibilities of Wizzard and the Move. Daft Punk specifically looked to the albums Rumours by Fleetwood Mac and The Dark Side of the Moon by Pink Floyd as models. Bangalter felt that "the most important records in music, whether it's Led Zeppelin [...] or The White Album or Sgt. Pepper's... or Quadrophenia or Tommy, are the ones that take you on a journey for miles and miles." Nile Rodgers appears on three songs on the album, including its lead single "Get Lucky". The initial demos of Random Access Memories were created without a clear plan for an album. Over the course of the sessions, numerous tracks were created and discarded. At one point Daft Punk had considered sorting the entire album into one continuous track, similar to the Prince record Lovesexy. They had also considered releasing it as a four-disc box set to accommodate the large volume of content produced. Thus the album lacked structure until the final months of production. The opening track, "Give Life Back to Music", features guitar work by Rodgers and Paul Jackson, Jr., drums by John "J.R." Robinson, and lyrics performed by Daft Punk using vocoders. The song reflects the duo's goal to create a light yet polished and elegant record. As stated by NME, the album begins with "a stupendously vast rock intro that obliterates any trace of Human After All's brittle techno". The following track, "The Game of Love", also features vocoder singing by the duo. Bangalter said, "There's this thing today where the recorded human voice is processed to try to feel robotic." He explained that the duo's intention was to produce robotic vocals with expressiveness and emotion. "Giorgio by Moroder" was created to serve as a metaphor about musical freedom. The duo believed that a monologue by Moroder about his career would be an analogue for music's history regarding exploration of genres and tastes. Chilly Gonzales was tasked with creating a transition on the song "Within" that would modulate to the key of subsequent tracks. "Within" was one of the first tracks to be recorded for the album. It features Gonzales on piano with minimal accompaniment consisting of bass and a percussion track, as well as vocoder. In the context of the album, "Within" marks the transition from the key of A minor of the previous three songs, to the key of B-flat minor of subsequent tracks. Regarding the lyrics, critic Nick Stevenson observed, "A deep vocoder sings about not understanding the world, being lost and not even remembering his own name." Jeremy Abbott of Mixmag added, "So many things I don't understand is the prominent lyric and Chilly's chords combined with grazing cymbals make for a beautiful summer lullaby." 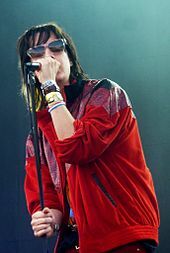 The Strokes lead singer Julian Casablancas provided vocals for the song "Instant Crush". "Instant Crush" was based on a demo that Daft Punk presented to Julian Casablancas; he became enthused upon hearing it and provided vocals. The song contains rock influences and a guitar solo. Critic John Balfe considered it "appropriately Strokes-ish, even if [Casablancas'] trademark drawl is fed quite substantially through a vocoder." De Homem-Christo noted, "It is true that it is not his usual register, it is the way Julian reacted to the track so for us it is even more exciting." "Lose Yourself to Dance" features Pharrell Williams and was the result of a desire to create dance music with live drummers. To that end, Robinson appears as session player. A vocoder chant of "come on" appears in the song alongside Pharrell Williams's singing. "Touch" features lyrics written and performed by Paul Williams. Daft Punk noted that the song is the most complex piece on the record, being composed of over 250 elements. As Pitchfork observed, "the song warps and bends, floating through genres, epochs, and emotions with a sense of hallucinatory wonder" and recalls the Beatles song "A Day in the Life". In Rolling Stone, Will Hermes observes, "It's completely ridiculous. It's also remarkably beautiful and affecting." Louis Lepron of Kombini believed the multitude of styles and science fiction aesthetics on the track is an homage to musical films including Phantom of the Paradise, the soundtrack of which Williams had composed. The song's opening is a specific reference to a scene in the film in which the title character's voice is gradually enhanced in a studio booth. De Homem-Christo stated that "Touch" is "like the core of the record, and the memories of the other tracks are revolving around it." "Get Lucky" is the second song on the album to feature Pharrell Williams, who clarified that the title phrase does not simply refer to a sexual act, but to the potential fortune of finding chemistry with another person. When he had first heard the song, Pharrell Williams said it evoked the image of a "peachy color[ed]" sunrise on an exotic island. Daft Punk discussed the concept of the song "Beyond" with Paul Williams, who then translated the ideas into lyrics for it. The track begins with an orchestral string section and timpani before settling into what NME called "reupholstered Warren G 'Regulate' grooves". Stevenson similarly described "Beyond" as "a lot like the sample used in Nate Dogg and Warren G's ‘Regulate’", Michael McDonald's song "I Keep Forgettin'", which he noted as "no bad thing", and stated that the vocoder-affected lyrics detail "the existential world beyond oceans and mountains – a land beyond love." "Motherboard" was described by Daft Punk as being "a futuristic composition that could be from the year 4000". A review elaborated that the instrumental piece can "carry you away like a track by Sébastien Tellier". Todd Edwards commented that the lyrics of "Fragments of Time" were inspired by his desire to capture the moments he experienced during his visit to the duo's studio sessions in California. "Doin' It Right" was the last song to be recorded and features vocals performed by Panda Bear. The duo referred to it as the only purely electronic piece on the album, with a modern style. The closing track, "Contact", is co-produced by DJ Falcon and features a sample of the song "We Ride Tonight" by Australian rock band the Sherbs. The Japan-exclusive bonus track "Horizon", written by Bangalter and de Homem Christo, is a slow-tempo composition reminiscent of Pink Floyd. It is characterized by a consistent guitar strum while several additional instruments are progressively layered over, including a bass guitar and drums. The song is stylistically different from other tracks on the album, and is one of the few to feature no lyrics. In January 2013, de Homem-Christo first revealed that Daft Punk was in the process of signing with Sony Music Entertainment through the Columbia Records label, and that the album would have a spring release. A report from The Guardian followed specifying a release date of May 2013. On 26 February 2013, Daft Punk's official website and Facebook page announced the signing to Columbia with a picture of the duo's helmets, and a "Columbia" logo in the corner. Billboards and posters featuring the helmets and logo then appeared in several major cities. On 2 March, a 15-second television ad aired during Saturday Night Live (SNL) depicting an animated, stylized version of the band's logo and the aforementioned image of the helmets. The music featured in the ad was a result of the collaboration with Rodgers, who noted that various fan remixes of the clip appeared online after the airing. A second TV ad also premiered that was similar to the first on Saturday Night Live, but with a different music clip and the title Random Access Memories in place of the stylized Daft Punk logo. During the first night of Coachella Festival 2013, a third trailer debuted that featured Daft Punk, Pharrell Williams and Rodgers performing, as well as a list of collaborators on the album. The trailer also aired during Saturday Night Live the following evening, but without a list of collaborators. The gradual rollout of promotion was inspired by advertising of the past, reflecting the theme of the album. Daft Punk approached Columbia with a specific agenda for the campaign; Rob Stringer of the label recalled that the duo had showed him the book Rock 'n' Roll Billboards of the Sunset Strip as an example of what they wanted. Bangalter felt that physical billboards are more affecting than banner ads and that "SNL is this part of American culture with a certain timelessness to it." The campaign was handled by a small group led by Daft Punk and manager Paul Hahn, with assistance from Kathryn Frazier of the public-relations firm Biz 3. The duo had pursued Columbia in particular because of its long-standing history, as expressed by Bangalter: "It felt interesting conceptually to write this story with a record company like Columbia, with a 125-year legacy." Furthermore, the vinyl labels of the album feature the classic yellow on red Columbia label used on records during said time period. Central to the promotion was the limiting of exposure to the album's content, as well as a focus on face-to-face contact for press previews. As Hahn stated, "There is a minimalism in our approach that creates an absence of information, and we notice our fans tend to throw themselves into the breach, or try to fill the empty spaces." The album's track titles were initially withheld from online retailers and later revealed through Columbia's Vine account on 16 April 2013 as a video relaying a series of images. Following a reported leak of the song days earlier, "Get Lucky" was released as a digital download single on 19 April 2013. On 13 May, Daft Punk's official Vevo channel posted a video revealing the artwork packaging of the vinyl version of the album, as well as the first few seconds of the opening track. Later that day, a limited-time preview stream of the full album was launched via the iTunes Store. Daft Punk were scheduled to appear on 6 August episode of The Colbert Report to promote Random Access Memories, but were unable to do so because of conflicting obligations regarding the duo's future appearance at the 2013 MTV Video Music Awards. According to Stephen Colbert, Daft Punk were unaware of any exclusivity agreement and were halted by MTV executives the morning prior to the taping. Colbert nevertheless broadcast an elaborate sketch of himself dancing to "Get Lucky" with various celebrities, including Hugh Laurie, Jeff Bridges, Jimmy Fallon, Bryan Cranston, Jon Stewart, Henry Kissinger, Matt Damon, and the Rockettes. Columbia released a deluxe box set of Random Access Memories containing a 56-page hardcover book, the vinyl edition of the album, a partial 70 mm film strip of the "Lose Yourself to Dance" video, and USB drives containing bonus audio as well as video content. Excerpts of the lead single "Get Lucky", featuring Pharrell Williams, appear in The Collaborators. The Random Access Memories official website features a video series called The Collaborators, directed by Ed Lachman and produced by The Creators Project, a partnership between Intel and Vice. Eight episodes were released in the series, which features interviews with participant artists that were involved in the making of the album. All featured album artists appear in the series with the exception of Casablancas, who would go on to appear prominently in the music video for "Instant Crush". Excerpts of the lead single "Get Lucky" appear in the opening and ending of each Collaborators episode as well as excerpts of other songs from the album, corresponding to each featured musician. The first episode features disco pioneer Moroder speaking about his experiences with the genre such as his records with Donna Summer and experimenting with synthesizers. Moroder also talks about his visit with Daft Punk in their recording studio. When asked how he first found out about the duo, he replied that he first heard their 2000 single "One More Time" and especially liked the breakdown middle section. He concluded that he views Daft Punk as "perfectionists" and described the album's style as "something [...] different. Still dance, still electronic; but [they] give that human touch back". Episode two revealed that Edwards had contributed to the album; he expressed that it was difficult keeping his involvement a secret. Edwards had previously collaborated with Daft Punk to create the song "Face to Face" on the 2001 album Discovery. He summarized his experience in the studio recording "Fragments of Time" as being life-changing, as the sessions inspired him to move from New Jersey to California on a permanent basis. Edwards also pointed out the irony of "two androids [...] bringing soul back to music". The third episode features Rodgers, who spoke of his background as a founding member of Chic, as well as his numerous collaborations with other artists throughout his career, such as David Bowie, Madonna, and Duran Duran. He expressed that working with Daft Punk "[felt] like [...] working with contemporaries" and that they motivated each other to excel when collaborating on the album. At the end of the episode, Rodgers played a portion of a then-unspecified song in which he participated, which was later identified as "Lose Yourself to Dance", and remarked that the duo's style has evolved whilst simultaneously exploring music's past, suggesting that "they went back to go forward." Pharrell Williams participated in the fourth episode in which he elaborated on his experience with the creation of the album. Pharrell remarked upon the organic sound of the album, surmising that it "feels like the only click track they had was [...] the human heartbeat". He felt that the record can be enjoyed by people of all ages due to the accessible nature of music, and concluded that Daft Punk "could just get back on the spaceship that brought them here and go, and leave us. But they're gracious, they're nice robots. They chose to stay". Panda Bear of Animal Collective provided vocals for the song "Doin' It Right". Episode five features Noah Lennox, better known by his stage name Panda Bear, who spoke about his contribution to the album as well as his history with the band Animal Collective. He had first heard of Daft Punk through the music video of the song "Around the World", which introduced him to many aspects of electronic dance music. He added that Homework was one of the few albums he and his older brother both enjoyed. Regarding Random Access Memories, Lennox remarked upon the approach of having live musicians, but structuring their performances in a minimal, sample-like fashion. For the sixth episode, Gonzales spoke about his contribution to the album. He recalled Daft Punk's visible joy in listening to the raw session recordings made early in the production of the album, as well as the impending years-long challenge that would be faced in completing the record. Gonzales expressed that the duo were aware of how the keys of each song would contribute to the emotional progression of the album as a whole. He therefore performed the piano in the song "Within" to accommodate the cycle. Gonzales concluded by pointing out that Daft Punk rarely collaborate with others, and thus felt that they did so on Random Access Memories to "make the work be transcendent". The seventh episode features Stéphane Quême, otherwise known as DJ Falcon, who spoke of first meeting Daft Punk when they began recording their debut album Homework. Quême noted that their sound had since changed and that each of their albums drew from different influences. He felt producers would be able to sample Random Access Memories in the same way Daft Punk had sampled older records in their previous albums. Episode eight features Paul Williams, who likened Daft Punk's personas to a character from the film Phantom of the Paradise, in which he starred. He also added that their masks hide who they are from the public and allow the listeners to enjoy the music for what it is. Paul Williams worked with the duo at Henson Recording Studios, the former studio of A&M Records where he had worked previously, including his compositions for Jim Henson's films featuring the Muppets, such as "Rainbow Connection". He also stated that the song he penned was to be sung from the point of view of an unidentified first person, setting the emotion, but the lyrics came from the music itself. Paul Williams said that he felt vulnerable while writing the record, and said he writes best when he is allowed to be honest and vulnerable, a situation that Daft Punk allowed. He also stated that his sobriety added a sense of wonder to the song he wrote, as every day for him being sober has been wonderful compared to his prior life of excess. The 79th Annual Wee Waa Show, held on 17 May 2013 in the rural Australian town of Wee Waa, was selected as the venue for the worldwide album launch. The tickets for the Wee Waa album launch were completely sold within thirteen minutes of release, even though it was widely understood that Daft Punk would not be in attendance at the launch—the album launch details revealed that the album would be streamed live to the 4,000 audience members. Australian police in the local Wee Waa area initiated Operation Hadrian to prevent alcohol-related problems and anti-social behaviour at the launch event. Sony commissioned the design and construction of a custom-built stage for the Wee Waa album launch event, and the Daft Arts production house assembled a LED circular music space that became Australia's biggest-ever outdoor dance floor. The record label described the creation, which was illuminated by a giant disco ball and complemented by four speaker towers and flood lights, as "Saturday Night Fever meets Close Encounters of the Third Kind". The prelude to the streaming of the album was a pyrotechnic show provided by Father Anthony Koppman and his company "Holy Smoke" from Guyra, New South Wales. Random Access Memories received widespread acclaim from critics. At Metacritic, which assigns a weighted mean rating out of 100 to reviews from mainstream critics, the album gained an average score of 87, based on 47 reviews. The album scored higher than any other album by the duo. Q referred to it as "by some margin Daft Punk's best album in a career that's already redefined dance music at least twice. It is, in short, a mind blower." The Independent stated, "Random Access Memories breathes life into the safe music that dominates today's charts, with its sheer ambition...It's an exciting journey, and one that, for all its musical twists and turns, has its feet planted on the dancefloor." Melissa Maerz of Entertainment Weekly called it "a headphones album in an age of radio singles; a bravura live performance that stands out against pro forma knob-twiddling; a jazzy disco attack on the basic house beat; a full collaboration at a time when the superstar DJ stands alone." She concluded her review by saying that "if EDM is turning humans into robots, Daft Punk are working hard to make robot pop feel human again." Several critics commented on the variety of content on the album. NME said, "There's a creeping notion that every musical idea that's ever been so much as thought up is on this album." In addition, Random Access Memories is ranked #497 on NME's list, "The 500 Greatest Albums Of All Time". Mark Richardson of Pitchfork echoed this sentiment, calling the record "a mix of disco, soft rock, and prog-pop, along with some Broadway-style pop bombast and even a few pinches of their squelching stadium-dance aesthetic". Richardson praised the engineering and recording on the album, but did say that "though everything about RAM, from the session musicians to the guests to the means of production, is meant to sound more 'human,' the album at points sounds more sterile, almost too perfect." Pitchfork deemed the album the seventh best of 2013. DJ Magazine commented on the shift in Daft Punk's musical style: "While Daft Punk clearly want to move on and evolve, ditching the electronic beats, house and techno that first elevated them to fame, it's that music that forms the bedrock of their best tunes, and still, that's what they're best at making." Resident Advisor stated that "it's an album rooted in a now-ancient aesthetic: '70s staples, like crisply recorded California studio music, or the kind of deceptively sophisticated New York disco that Nile Rogers [sic], one of the album's key guest artists, popularized with Chic." In a four-and-a-half star review, Heather Phares of AllMusic said that the record "taps into the wonder and excitement" of music from the 1970s and early 1980s. Phares concluded her review by saying, "Random Access Memories is also Daft Punk's most personal work, and richly rewarding for listeners willing to spend time with it." Aaron Payne of musicOMH wrote, "Daft Punk somehow misplace the wit and the light touch that's pretty much their trademark. Instead, these long epics become somewhat tedious and there is a strong whiff of egoism and self-indulgence....At over 70 minutes, the album feels rather bloated. Quite a few of the songs are too long, or too empty of ideas, or too willing to repeat themselves, or too willing to play to type". Dan Weiss of Paste noted that "none of the admittedly eclectic pilferings of Random Access Memories challenge or defy anything. They all evoke specific eras of film soundtrack or disco trend. The beats have grown less, not more, complex over time." Random Access Memories received Grammy Awards for Album of the Year, Best Dance/Electronica Album and Best Engineered Album, Non-Classical for the 56th Annual Grammy Awards. The lead single, "Get Lucky", also won for Record of the Year and Best Pop Duo/Group Performance. "Get Lucky" had previously been nominated for Best Song of the Summer at the 2013 MTV Video Music Awards and Best Song at the 2013 MTV Europe Music Awards. In January 2015, the album was placed at number 9 on Billboard's list of "The 20 Best Albums of 2010s (so far)". Random Access Memories debuted at number one on the French Albums Chart with first-week sales of 195,013 copies (127,361 physical sales and 67,652 digital sales), earning Daft Punk their first number-one album in France. The next week, it sold 49,600 copies to remain at the top spot with a 75% sales decrease. The album secured a third consecutive week atop the French chart, withstanding a 29% sales drop to 35,500 copies. Random Access Memories debuted at number one on the UK Albums Chart with 165,091 copies sold in its first week, becoming the duo's first UK number-one album, as well as the second fastest-selling artist album of 2013 after One Direction's Midnight Memories. The album remained at number one on the UK chart the following week, selling 52,801 copies. In its third week, it fell to number three on sales of 28,182 copies. In the United States, the album debuted at number one on the Billboard 200 with first-week sales of 339,000 copies, the duo's first number one album on the chart. The album maintained the number one spot in its second week, selling 93,000 copies. In the album's third week of release, it sold an additional 62,000 copies, while falling to number two on the Billboard 200. The album's vinyl LP format also proved popular; it was 2013's top-selling LP, with 49,000 US copies shifted. The album had sold 922,000 copies in the US as of January 2014. On 6 February 2014, the album was certified platinum by the Recording Industry Association of America (RIAA). Following the duo's Album of the Year win at the 56th Annual Grammy Awards, Random Access Memories jumped from number 39 to number 10 on the Billboard 200 with a 300% sales increase, selling 30,000 copies that week. Random Access Memories entered the Canadian Albums Chart at number one with 46,000 copies sold, the biggest one-week sales total in Canada of 2013. The album remained at number one the next week, selling 17,000 copies. In Japan, the album debuted at number three on the Oricon Weekly Albums Chart, selling 25,970 copies. The album debuted at number one in several countries across continental Europe, including Austria, Belgium, Czech Republic, Denmark (where the album sold 5,392 copies in its first week), Finland, Germany, Ireland, Italy, Norway, Portugal, Spain and Switzerland. In Oceania, Random Access Memories debuted at number one in Australia and New Zealand; it was certified platinum by the Australian Recording Industry Association (ARIA) and gold by the Recording Industry Association of New Zealand (RIANZ) in its first week. As of 2014, Random Access Memories has sold 3.2 million copies worldwide. On 23 March, the album became available for pre-order on the iTunes Store via digital download, revealing a release date of 17 May in Australia, 20 May in the United Kingdom, and 21 May in the United States. It later appeared as an Amazon.com pre-order on CD, vinyl and directly from the Random Access Memories official website. The album became available for preview streaming via the iTunes Store on 13 May 2013. It was also released for streaming on Spotify, with the lead single, "Get Lucky", topping Spotify's first digital streaming chart in the process. ^ a b c d Baron, Zach (May 2013). "Daft Punk Is (Finally!) Playing at Our House". GQ. 83 (5): 76–82. Archived from the original on 2013-07-26. ^ a b Torres, Andre. "Quantum Leap", Wax Poetics Issue 55 (Summer 2013). ^ Lee, Chris (6 January 2011). "Tron: Legacy's orchestral score reveals a new side of Daft Punk". PopMatters. Archived from the original on 26 April 2013. Retrieved 7 April 2013. ^ a b c Mason, Kerry (6 May 2013). "Daft Punk on EDM Producers: 'They're Missing the Tools'". Billboard. Archived from the original on 9 May 2013. Retrieved 7 May 2013. ^ Mann, Tom (3 March 2012). "Chic: Interview with Nile Rodgers". Faster Louder. FasterLouder.com. Archived from the original on 8 March 2012. Retrieved 31 March 2012. ^ Muentes, Eddie (14 July 2010). "Paul Williams on Hit Records Nightlife Video hosted by Eddie Muentes" (YouTube video). YouTube. Archived from the original on 16 February 2013. Retrieved 5 April 2013. ^ a b c d e f g h i j k Ghosn, Joseph, and Wicker, Olivier (18 April 2013). "Daft Punk Revient Avec Random Access Memories". Obsession (in French). Archived from the original on 20 April 2013. Retrieved 18 April 2013. Exclu: Les morceaux de Random Access Memories commentés par Daft Punk. ^ "Giorgio Moroder Recorded With Daft Punk". URB Magazine. 25 May 2012. Archived from the original on 1 February 2013. Retrieved 10 February 2013. ^ "Giorgio Moroder Discusses His Contribution to Daft Punk's Random Access Memories". Exclaim!. 15 May 2013. Archived from the original on 11 June 2013. Retrieved 16 May 2013. ^ Azoury, Philippe (27 April 2013). "Daft Punk Héritiers very disco". Obsession (in French). Archived from the original on 29 April 2013. Retrieved 28 April 2013. ^ "Field Day Radio Episode 10". Field Day Festival. 2 June 2012. Archived from the original on 25 September 2012. Retrieved 10 February 2013. ^ Courveille, Guillaume (27 March 2013). "Gaillac. Chilly Gonzales: "Je suis un homme de mon temps"". La Dépêche du Midi (in French). Archived from the original on 3 December 2013. Retrieved 15 April 2013. ^ Tom Breihan (29 September 2010). "Daft Punk Produce New N.E.R.D. Track". Pitchfork. Archived from the original on 20 May 2013. Retrieved 21 May 2013. ^ a b c d Random Access Memories (liner notes). Daft Punk. Columbia Records, a division of Sony Music Entertainment. 2013. ^ Icons: Mick Guzauski on Engineering and Mixing Daft Punk's Random Access Memories Archived 2014-02-03 at the Wayback Machine. sonicscoop.com. Retrieved January 29, 2014. ^ a b c d e Manouvere, Philippe (May 2013). "En couverture: Daft Punk". Rock & Folk (in French) (549): 74–81. Archived from the original on 2013-04-20. ^ Drummer Omar Hakim: Getting Lucky with Daft Punk on YouTube Retrieved on 6 January 2014. ^ a b c d e f Dombal, Ryan (14 May 2013). "Cover Story: Daft Punk". Pitchfork. Archived from the original on 17 May 2013. Retrieved 14 May 2013. ^ a b Dombal, Ryan (15 May 2013). "Daft Punk: Cover Story Outtakes". Pitchfork. Archived from the original on 7 June 2013. Retrieved 15 May 2013. ^ a b c d Stevenson, Nick (April 30, 2013). "Nick Stevenson: Random Access Memories Review". Mixmag. Archived from the original on May 5, 2013. Retrieved May 5, 2013. ^ Weiner, Jonah (21 May 2013). "Daft Punk: All Hail Our Robot Overlords". Rolling Stone. Archived from the original on 22 May 2013. Retrieved 21 May 2013. ^ a b c Ghosn, Joseph, and Wicker, Olivier (May 2013). "Nous avons tenté une aventure humaine". Obsession (in French) (10): 53–59. Archived from the original on 2013-08-07. ^ a b Perron, Erwan, and Gancel, Alice (7 April 2013). "Daft Punk, interview-fleuve pour la sortie de Random Access Memories". Télérama (in French). Archived from the original on 9 May 2013. Retrieved 7 April 2013. ^ a b c Mason, Kerry (10 May 2013). "Daft Punk: How the Pioneering Dance Duo Conjured Random Access Memories". Billboard. Archived from the original on 6 June 2013. Retrieved 10 May 2013. ^ a b Tingen, Paul (July 2013). "SOS Interview: Recording Random Access Memories". Sound on Sound (USA). 28 (9). Archived from the original on 2013-09-09. ^ Wood, James (29 November 2012). "Interview: Bassist Nathan East Discusses Fourplay's New Album and His Days with Eric Clapton". Guitar World. Archived from the original on 4 December 2012. Retrieved 21 December 2012. ^ Quinn (Orison Music) LinkedIn. Retrieved 6 April 2013. ^ "Chris 'Kazz' Caswell – Conductor/Musician". 26 April 2013. Archived from the original on 17 February 2013. Retrieved 26 April 2013. ^ a b Kamps, Garrett (17 May 2013). "Daft Punk, 'Random Access Memories' (Columbia)". Spin. Archived from the original on 7 June 2013. Retrieved 18 May 2013. ^ a b Weiss, Dan (21 May 2013). "Daft Punk: Random Access Memories". Paste. Archived from the original on 7 June 2013. Retrieved 24 May 2013. ^ Hyden, Steven (20 May 2013). "We, Robots". Grantland. Retrieved 11 October 2017. ^ a b c Lachman, Ed (8 April 2013). "Daft Punk | Random Access Memories | The Collaborators, Episode 2: Todd Edwards". The Creators Project. YouTube. Archived from the original on 9 April 2013. Retrieved 8 April 2013. [...] They reversed gears and went back to a time that no one's really focusing on (2:49 min). [...] When the music becomes focused on the effects that are being used or the presets of sounds, it's just computer – there's no soul there. It's kind of ironic: two androids are bringing soul back to music (6:54 min). ^ a b Harrison, Andrew (June 2013). "Total Recall". Q (323): 88–89. ^ a b c d Horton, Matthew (30 April 2013). "First Listen – Daft Punk, Random Access Memories". NME. Archived from the original on 6 May 2013. Retrieved 5 May 2013. ^ a b c d Lepron, Louis (24 April 2013). "Album Review: Daft Punk – Random Access Memories". Konbini.com. Archived from the original on 22 September 2013. Retrieved 25 April 2013. ^ a b Lachman, Ed (30 April 2013). "Daft Punk | Random Access Memories | The Collaborators, Episode 6: Chilly Gonzales". The Creators Project. YouTube. Archived from the original on 2 June 2013. Retrieved 30 April 2013. [...] [Daft Punk] don't really need any help. And so when they ask for help, it's because they are in such a high level and so advanced, [...] that [they] can ask for help for certain details that are going to make the work be transcendent (7:53 min). ^ Abbott, Jeremy (April 30, 2013). "Jeremy Abbott: Random Access Memories Review". Mixmag. Archived from the original on September 21, 2013. Retrieved May 8, 2013. ^ Balfe, John (3 May 2013). "First Listen – Daft Punk's Random Access Memories". entertainment.ie. Archived from the original on 6 May 2013. Retrieved 5 May 2013. ^ McCabe, Kathy (9 May 2013). "Daft Punk's human touch in new album Random Access Memories". Archived from the original on 10 May 2013. Retrieved 9 May 2013. ^ a b Hermes, Will (23 May 2013). "Daft Punk's Human Touch". Rolling Stone. pp. 71–72. Archived from the original on 4 June 2013. Retrieved 23 May 2013. ^ Keens, Oliver (9 May 2013). "Daft Punk – 'Random Access Memories' album review". Time Out. Archived from the original on 3 December 2013. Retrieved 27 November 2013. ^ Coulehan, Erin (22 May 2013). "Daft Punk Bonus Track 'Horizon' Surfaces". Rolling Stone. Archived from the original on 24 September 2015. Retrieved 18 June 2015. ^ Gracie, Bianca (22 May 2013). "Daft Punk Slow It Down With "Horizon": Hear The Spacey 'Random Access Memories' Bonus Track". Idolator. Spin Media. Archived from the original on 11 May 2015. Retrieved 18 June 2015. ^ "Daft Punk to release studio album after signing deal with Columbia". The Guardian. 28 January 2013. Archived from the original on 22 September 2013. Retrieved 24 March 2013. ^ Phillips, Amy and Snapes, Laura (26 February 2013). "Daft Punk Confirm Alliance With Columbia". Pitchfork. Archived from the original on 1 May 2013. Retrieved 26 February 2013. Daft Punk have confirmed their alliance with Columbia Records. [...] The duo of Thomas Bangalter and Guy-Manuel de Homem-Christo are due to release a new album this year, according to Nile Rodgers. ^ Batte, Elliott (20 March 2013). "Daft Punk Posters Pop Up Across the Globe – Album and Tour Just Around the Corner?". Stereoboard.com. Archived from the original on 15 June 2013. Retrieved 9 April 2013. ^ Phillips, Amy (2 March 2013). "Watch: Daft Punk Air Mysterious Advertisement During "Saturday Night Live"". Pitchfork. Archived from the original on 30 April 2013. Retrieved 24 March 2013. ^ a b c d Gensler, Andy (24 March 2013). "Daft Punk 'Get Funky' in New Teaser Ad for Random Access Memories". Billboard. Archived from the original on 27 March 2013. Retrieved 30 March 2013. [...] Daft Punk's follow-up to 2005's Human After All will be released May 21 on the group's Daft Life imprint through Columbia Records, and is now available for pre-order on iTunes. ^ Phillips, Amy (12 April 2013). "Daft Punk Confirm Julian Casablancas, Panda Bear, Pharrell, More Collaborations with Coachella Video". Pitchfork. Archived from the original on 15 April 2013. Retrieved 13 April 2013. The video confirmed that Random Access Memories will indeed have a star-studded list of collaborators: the Strokes' Julian Casablancas, Animal Collective's Panda Bear, Pharrell, Paul Williams, Nile Rodgers, Giorgio Moroder, Chilly Gonzales, DJ Falcon, and Todd Edwards. ^ "Daft Punk Tease New Album at Coachella, During 'Saturday Night Live', Reveal Guests". Billboard. 14 April 2013. Archived from the original on 17 April 2013. Retrieved 14 April 2013. Random Access Memories was recorded in Paris, L.A. and New York and is slated to include a second Pharrell-sung track called 'Lose Yourself to Dance', according to Rolling Stone. ^ a b c Buerger, Megan (9 May 2013). "Daft Punk's Stealth Start for a Summer Hit". The Wall Street Journal. Archived from the original on 9 January 2015. Retrieved 10 May 2013. ^ Minsker, Evan and Phillips, Amy (16 April 2013). "Daft Punk Reveal Random Access Memories Tracklist Via Vine Video". Pitchfork. Archived from the original on 18 April 2013. Retrieved 16 April 2013. [...] The French robot duo have shared the album's tracklist via a Vine video which can be watched below. As previously reported, the album features collaborations with the Strokes' Julian Casablancas, Animal Collective's Panda Bear, Pharrell, Paul Williams, Nile Rodgers, Giorgio Moroder, Chilly Gonzales, DJ Falcon, and Todd Edwards. ^ Montgomery, James (18 April 2013). "Daft Punk's 'Get Lucky' Gets Very Specific Release Date". MTV News. Archived from the original on 19 February 2014. Retrieved 18 April 2013. Spokesperson for Columbia Records confirms to MTV News band's single will be released Friday at 12:01 a.m. ET. ^ "Daft Punk – Random Access Memories Unboxed" (YouTube video). YouTube. 13 May 2013. Archived from the original on 14 May 2013. Retrieved 13 May 2013. ^ Schneider, Marc (13 May 2013). "Daft Punk Reveal Random Access Memories Vinyl: Video and Photos". Billboard. Archived from the original on 7 June 2013. Retrieved 18 May 2013. [...] Set in what resembles a command center filled with towering, illuminated computer servers, the 1:40-long video quickly makes its way to an envelope marked 'confidential'. A pair of be-gloved hands begins a thorough inspection of the album, which ends with a needle-drop on leadoff track, 'Give Life Back to Music'. ^ a b "Listen to Daft Punk's New Album Random Access Memories". Rolling Stone. 13 May 2013. Archived from the original on 13 May 2013. Retrieved 13 May 2013. The wait is over: Daft Punk are streaming their new album, Random Access Memories, in full on iTunes. ^ a b Kovach, Steve (13 May 2013). "The New Daft Punk Album Is Streaming For Free On iTunes Right Now". Business Insider. Archived from the original on 7 June 2013. Retrieved 13 May 2013. ^ Evan Minsker (6 August 2013). "Daft Punk Cancel 'Colbert Report' Appearance Due to Contractual Agreement With MTV VMAs". Pitchfork. Archived from the original on 21 September 2013. Retrieved 20 September 2013. ^ Hillary Busis (13 August 2013). "Stephen Colbert: The truth behind that Daft Punk dance party". CNN. Archived from the original on 21 September 2013. Retrieved 20 September 2013. ^ Sisario, Ben (7 August 2013). "Daft Punk Cancels 'Colbert Show' Appearance Because of MTV Conflict". The New York Times. Archived from the original on 19 June 2015. Retrieved 12 August 2013. ^ Weber, Peter (8 August 2013). "Was Stephen Colbert's Daft Punk-MTV takedown a staged hoax?". The Week. Archived from the original on 12 August 2013. Retrieved 12 August 2013. ^ Pelly, Jenn (24 October 2013). "Daft Punk Detail Random Access Memories Deluxe Box Set: Robot Design Schematics, Extended Giorgio Moroder Track, Film Strips, More". Pitchfork. Archived from the original on 27 October 2013. Retrieved 24 October 2013. ^ Cubarrubia, RJ (3 April 2013). "Giorgio Moroder: Daft Punk's New Album Is 'A Step Forward' for Dance Music" (YouTube video). Rolling Stone. Archived from the original on 3 April 2013. Retrieved 3 April 2013. ^ Cubarrubia, RJ (8 April 2013). "Daft Punk's Random Access Memories Channels Fleetwood Mac, Doobie Brothers" (YouTube video). Rolling Stone. Archived from the original on 9 April 2013. Retrieved 8 April 2013. ^ Lachman, Ed (11 April 2013). "Daft Punk | Random Access Memories | The Collaborators, Episode 3: Nile Rodgers". The Creators Project. YouTube. Archived from the original on 12 April 2013. Retrieved 11 April 2013. [...] I feel like I'm working with contemporaries [...] with people who grew up with me and feel it the same way we felt the vibe when we were creating this stuff. It's like they went back to go forward (10:24 min). ^ Blistein, Jon (11 April 2013). "Nile Rodgers: New Daft Punk Album 'Went Back to Go Forward'" (YouTube video). Rolling Stone. Archived from the original on 12 April 2013. Retrieved 11 April 2013. ^ Cubarrubia, RJ (15 April 2013). "Pharrell: Daft Punk 'Not Bound by Time and Space'" (YouTube video). Rolling Stone. Archived from the original on 17 April 2013. Retrieved 15 April 2013. ^ Cubarrubia, RJ (24 April 2013). "Panda Bear: Daft Punk Make Old Sound New" (YouTube video). Rolling Stone. Archived from the original on 25 April 2013. Retrieved 25 April 2013. ^ Cubarrubia, RJ (30 April 2013). "Chilly Gonzales Explains Daft Punk Harmonies" (YouTube video). Rolling Stone. Archived from the original on 3 May 2013. Retrieved 30 April 2013. ^ Lachman, Ed (7 May 2013). "Daft Punk | Random Access Memories | The Collaborators, Episode 7: DJ Falcon". The Creators Project. YouTube. Archived from the original on 11 July 2013. Retrieved 7 May 2013. ^ a b Cubarrubia, RJ (10 May 2013). "Paul Williams, DJ Falcon Describe Working With Daft Punk" (YouTube video). Rolling Stone. Archived from the original on 5 June 2013. Retrieved 11 May 2013. ^ Lachman, Ed (10 May 2013). "Daft Punk | Random Access Memories | The Collaborators, Episode 8: Paul Williams". The Creators Project. YouTube. Archived from the original on 11 July 2013. Retrieved 10 May 2013. ^ a b c McCabe, Kathy (9 April 2013). "Daft Punk to launch new record in... Wee Waa". Herald Sun. Archived from the original on 9 April 2013. Retrieved 9 April 2013. ^ "Police to target Daft Punk fans". The Australian. Australian Associated Press. 14 May 2013. Retrieved 14 May 2013. ^ McCabe, Kathy (17 May 2013). "Daft Punk fans descend on Wee Waa for launch of album Random Access Memories". Herald Sun. Retrieved 17 May 2013. ^ Mahony, Melanie (18 May 2013). "9 things we learnt from Daft Punk's Wee Waa launch". FasterLouder. Archived from the original on 8 June 2013. Retrieved 21 May 2013. ^ a b "Reviews for Random Access Memories by Daft Punk". Metacritic. Archived from the original on 28 May 2013. Retrieved 31 May 2013. ^ a b Phares, Heather. "Random Access Memories – Daft Punk". AllMusic. Archived from the original on 9 May 2013. Retrieved 19 May 2013. ^ Mincher, Chris (21 May 2013). "Daft Punk: Random Access Memories". The A.V. Club. Archived from the original on 21 May 2013. Retrieved 24 May 2013. ^ McCormick, Neil (14 May 2013). "Daft Punk, Random Access Memories, album review". The Daily Telegraph. Archived from the original on 17 May 2013. Retrieved 18 May 2013. ^ a b Maerz, Melissa (14 May 2013). "Random Access Memories". Entertainment Weekly. Archived from the original on 3 April 2015. Retrieved 14 May 2013. ^ Petridis, Alexis (15 May 2013). "Daft Punk: Random Access Memories – review". The Guardian. Archived from the original on 18 December 2013. Retrieved 15 May 2013. ^ a b Bray, Elisa (3 May 2013). "Album review: Daft Punk, Random Access Memories (Sony Music)". The Independent. Archived from the original on 7 May 2013. Retrieved 14 May 2013. ^ Perry, Kevin EG (17 May 2013). "Daft Punk – 'Random Access Memories'". NME. Archived from the original on 3 March 2016. Retrieved 20 May 2013. ^ a b Richardson, Mark (20 May 2013). "Daft Punk: Random Access Memories". Pitchfork. Archived from the original on 7 June 2013. Retrieved 20 May 2013. ^ "Daft Punk". Metacritic. Archived from the original on 24 December 2013. Retrieved 28 November 2013. ^ "The 500 Greatest Albums Of All Time: 500-401". NME. 2013. Archived from the original on October 25, 2013. Retrieved October 28, 2013. ^ "The Top 50 Albums of 2013". Pitchfork. December 18, 2013. Archived from the original on July 24, 2015. Retrieved December 18, 2013. ^ "Daft Punk: Random Access Memories". DJ Magazine. 2 May 2013. Archived from the original on 5 May 2013. Retrieved 7 May 2013. ^ Rothlein, Jordan (20 May 2013). "Random Access Memories review". Archived from the original on 31 October 2013. ^ Payne, Aaron (9 May 2013). "Daft Punk – Random Access Memories". musicOMH. Archived from the original on 3 June 2013. Retrieved 9 May 2013. ^ a b "56th Annual GRAMMY Awards Nominees". National Academy of Recording Arts and Sciences. Archived from the original on 3 December 2010. Retrieved 10 December 2013. ^ a b "Best Song of the Summer 2013 MTV Video Music Awards". MTV. Archived from the original on 3 December 2013. Retrieved 10 December 2013. ^ a b "2013 MTV EMAs: European Music Awards' Winners List". Heavy.com. Archived from the original on 15 November 2013. Retrieved 10 December 2013. ^ "Billboard's Top 20 Best Albums of the 2010s (So Far)". Archived from the original on 24 January 2015. Retrieved 13 January 2015. ^ Decant, Charles (31 May 2013). "Top Albums : Daft Punk écrase Maître Gims, Zaz passe devant Paradis, Shy'm s'envole" (in French). Charts in France. Archived from the original on 7 June 2013. Retrieved 15 June 2013. ^ a b "Lescharts.com – Daft Punk – Random Access Memories". Hung Medien. Retrieved 3 July 2016. ^ Decant, Charles (7 June 2013). "Top Albums : Daft Punk s'essouffle fortement mais résiste à Maître Gims" (in French). Charts in France. Archived from the original on 10 June 2013. Retrieved 15 June 2013. ^ Decant, Charles (14 June 2013). "Top Albums : Jenifer s'incline face à Daft Punk mais devance Johnny Hallyday" (in French). Charts in France. Archived from the original on 18 June 2013. Retrieved 15 June 2013. ^ Jones, Alan (27 May 2013). "Official Charts Analysis: Daft Punk LP sells 165k to hit No.1". Music Week. Archived from the original on 15 June 2013. Retrieved 28 May 2013. ^ Lane, Daniel (26 May 2013). "Daft Punk score first ever UK Number 1 album with Random Access Memories". Official Charts Company. Archived from the original on 7 June 2013. Retrieved 26 May 2013. ^ Mandle, Chris (25 November 2013). "Now That's What I Call Music! 86 debuts at Number 1 on the Official Compilation Albums Chart". Official Charts Company. Archived from the original on 7 December 2013. Retrieved 4 December 2013. ^ Caulfield, Keith (28 May 2013). "Official: Daft Punk's 'Random' Debuts at No. 1 on Billboard 200 With 339,000". Billboard. Archived from the original on 7 June 2013. Retrieved 28 May 2013. ^ Caulfield, Keith (5 June 2013). "Daft Punk Scores Second Week at No. 1 on Billboard 200 Chart". Billboard. Archived from the original on 8 June 2013. Retrieved 5 June 2013. ^ Caulfield, Keith (12 June 2013). "Queens of the Stone Age Get First No. 1 Album on Billboard 200 Chart". Billboard. Archived from the original on 15 June 2013. Retrieved 12 June 2013. ^ Caulfield, Keith (31 December 2014). "Vinyl Album Sales Hit Historic High in 2014, Again". Billboard. Archived from the original on 3 January 2015. Retrieved 1 January 2015. ^ Graham, Adam (6 February 2014). "SoundScanner: Bruno Mars Gets Super Bowl Boost, Freeze Freezes Out The Competition". VH1. Archived from the original on 7 February 2014. Retrieved 11 February 2014. ^ a b "American album certifications – Daft Punk – Random Access Memories". Recording Industry Association of America. 6 February 2014. Retrieved 8 March 2014. If necessary, click Advanced, then click Format, then select Album, then click SEARCH. ^ Caulfield, Keith (5 February 2014). "Grammy Awards Rock Charts, Daft Punk Returns to Top 10 on Billboard 200". Billboard. Archived from the original on 1 March 2014. Retrieved 15 March 2014. ^ a b "2013年05月20日～2013年05月26日のCDアルバム週間ランキング" [Weekly CD Albums Chart: 2013.05.20~2013.05.26] (in Japanese). Oricon. 3 June 2013. Archived from the original on 4 June 2013. Retrieved 31 May 2013. ^ a b "Austriancharts.at – Daft Punk – Random Access Memories" (in German). Hung Medien. Retrieved 31 May 2013. ^ a b "Ultratop.be – Daft Punk – Random Access Memories" (in Dutch). Hung Medien. Retrieved 24 May 2013. ^ a b "Czech Albums – Top 100". ČNS IFPI. Note: On the chart page, select 201321 on the field besides the word "Zobrazit", and then click over the word to retrieve the correct chart data. Retrieved 3 July 2016. ^ Treo, Thomas (31 May 2013). "Uventet flop af Emmelie". Ekstra Bladet (in Danish). JP/Politikens Hus. Archived from the original on 23 January 2015. Retrieved 17 December 2014. ^ a b "Daft Punk: Random Access Memories" (in Finnish). Musiikkituottajat – IFPI Finland. Retrieved 3 July 2016. ^ a b "Offiziellecharts.de – Daft Punk – Random Access Memories" (in German). GfK Entertainment Charts. Retrieved 3 July 2016. ^ a b "GFK Chart-Track Albums: Week 21, 2013". Chart-Track. IRMA. Retrieved 24 May 2013. ^ a b "Italiancharts.com – Daft Punk – Random Access Memories". Hung Medien. Retrieved 3 July 2016. ^ a b "Norwegiancharts.com – Daft Punk – Random Access Memories". Hung Medien. Retrieved 3 July 2016. ^ a b "Portuguesecharts.com – Daft Punk – Random Access Memories". Hung Medien. Retrieved 3 July 2016. ^ a b "Spanishcharts.com – Daft Punk – Random Access Memories". Hung Medien. Retrieved 3 July 2016. ^ a b "Swisscharts.com – Daft Punk – Random Access Memories". Hung Medien. Retrieved 3 July 2016. ^ "ARIA Albums Chart". ARIA Charts. 27 May 2013. Archived from the original on 2 March 2014. Retrieved 26 May 2013. ^ "New Zealand album certifications – Daft Punk – Random Access Memories". Recorded Music NZ. 27 May 2013. Retrieved 24 May 2013. ^ "Top selling global albums" (PDF). International Federation of the Phonographic Industry. p. 12. Archived (PDF) from the original on 26 June 2014. Retrieved 17 December 2014. ^ ランダム・アクセス・メモリーズ [Random Access Memories] (in Japanese). Sony Music Entertainment Japan. Archived from the original on 18 June 2015. Retrieved 18 June 2015. ^ "Australiancharts.com – Daft Punk – Random Access Memories". Hung Medien. Retrieved 3 July 2016. ^ "ARIA Dance – Week Commencing 27th May 2013" (PDF). ARIA Charts. Pandora Archive. p. 17. Retrieved 29 December 2013. ^ "Ultratop.be – Daft Punk – Random Access Memories" (in French). Hung Medien. Retrieved 24 May 2013. ^ "Daft Punk Chart History (Canadian Albums)". Billboard. Retrieved 17 December 2014. ^ "Top Kombiniranih [Top Combined]" (in Croatian). Top Combined Albums. Hrvatska diskografska udruga. Retrieved 20 June 2013. ^ "Danishcharts.dk – Daft Punk – Random Access Memories". Hung Medien. Retrieved 3 July 2016. ^ "Dutchcharts.nl – Daft Punk – Random Access Memories" (in Dutch). Hung Medien. Retrieved 3 July 2016. ^ "R2 Eesti müügitabel, nädal 21/2013" (in Estonian). Raadio 2. Archived from the original on 4 June 2013. Retrieved 28 May 2013. ^ "Official IFPI Charts – Top-75 Albums Sales Chart (Εβδομάδα: 21/2013)" (in Greek). IFPI Greece. Archived from the original on 5 June 2013. Retrieved 5 June 2013. ^ "Top 40 album DVD és válogatáslemez-lista – 2013. 21. hét" (in Hungarian). MAHASZ. Retrieved 10 May 2015. ^ "Top 100 México – Semana Del 13 al 19 de Mayo 2013" (PDF) (in Spanish). Asociación Mexicana de Productores de Fonogramas y Videogramas. Archived from the original (PDF) on 28 May 2013. Retrieved 28 May 2013. ^ "Charts.org.nz – Daft Punk – Random Access Memories". Hung Medien. Retrieved 3 July 2016. ^ "Oficjalna lista sprzedaży :: OLiS - Official Retail Sales Chart". OLiS. Polish Society of the Phonographic Industry. Retrieved 31 May 2013. ^ "Zlovešča trinajstica Black Sabbath" (in Slovenian). Val 202. 21 June 2013. Archived from the original on 10 May 2015. Retrieved 10 May 2015. ^ "2013년 23주차 Album Chart" (in Korean). Gaon Music Chart. Archived from the original on 18 May 2015. Retrieved 10 May 2015. ^ "Swedishcharts.com – Daft Punk – Random Access Memories". Hung Medien. Retrieved 3 July 2016. ^ "Official Albums Chart Top 100". Official Charts Company. Retrieved 10 May 2015. ^ "Daft Punk Chart History (Billboard 200)". Billboard. Retrieved 30 May 2013. ^ "Daft Punk Chart History (Top Dance/Electronic Albums)". Billboard. Retrieved 30 May 2013. ^ "El álbum más vendido durante 2013 en Argentina: "Violetta – Hoy somos más"" (in Spanish). Argentine Chamber of Phonograms and Videograms Producers. Archived from the original on 12 December 2014. Retrieved 17 December 2014. ^ "ARIA Charts – End Of Year Charts – Top 100 Albums 2013". Australian Recording Industry Association. Archived from the original on 7 January 2014. Retrieved 8 January 2014. ^ "ARIA Charts – End Of Year Charts – Top 50 Dance Albums 2013". Australian Recording Industry Association. Archived from the original on 26 January 2014. Retrieved 8 January 2014. ^ "Jahreshitparade Alben 2013" (in German). austriancharts.at. Hung Medien. Archived from the original on 8 May 2015. Retrieved 10 May 2015. ^ "Jaaroverzichten 2013 – Albums" (in Dutch). Ultratop. Hung Medien. Archived from the original on 17 April 2014. Retrieved 29 December 2013. ^ "Rapports Annuels 2013 – Albums" (in French). Ultratop. Hung Medien. Archived from the original on 17 April 2014. Retrieved 29 December 2013. ^ "Canadian Albums: Year End 2013". Billboard. Archived from the original on 28 January 2014. Retrieved 17 December 2014. ^ "Album Top-100 2013" (in Danish). Hitlisten.NU. IFPI Denmark. Archived from the original on 4 February 2014. Retrieved 8 February 2014. ^ "Jaaroverzichten – Album 2013" (in Dutch). dutchcharts.nl. Hung Medien. Archived from the original on 15 February 2014. Retrieved 25 December 2013. ^ Gonçalves, Julien (3 March 2014). "Daft Punk : 600.000 ventes pour l'album "Random Access Memories" en France" (in French). Charts in France. Archived from the original on 3 March 2014. Retrieved 3 March 2014. ^ "Top 100 Album-Jahrescharts – 2013" (in German). Offizielle Deutsche Charts. GfK Entertainment. Archived from the original on 19 May 2015. Retrieved 18 June 2015. ^ "Összesített album- és válogatáslemez-lista – eladási darabszám alapján – 2013" (in Hungarian). MAHASZ. Archived from the original on 8 January 2014. Retrieved 8 January 2014. ^ "Best of 2013 – Albums". Irish Recorded Music Association. Archived from the original on 18 December 2014. Retrieved 22 January 2015. ^ "Classifiche annuali 2013 Top of the Music by FIMI GfK" (in Italian). Federazione Industria Musicale Italiana. 7 January 2014. Archived from the original on 9 May 2015. Retrieved 10 May 2015. Click on "Scarica allegato" to download the zipped file containing the year-end chart PDF documents. ^ "アルバム TOP100" [Album Top 100] (in Japanese). Oricon. 15 December 2013. Archived from the original on 20 December 2013. Retrieved 21 December 2013. ^ "Los Más Vendidos 2013" (in Spanish). Asociación Mexicana de Productores de Fonogramas y Videogramas. Archived from the original on 3 February 2014. Retrieved 31 January 2014. ^ "Top Selling Albums of 2013". Recorded Music NZ. Archived from the original on 28 July 2017. Retrieved 3 July 2016. ^ "Najchętniej kupowane płyty roku 2013 – podsumowanie listy OLiS" (in Polish). Polish Society of the Phonographic Industry. 10 February 2014. Archived from the original on 22 February 2014. Retrieved 10 February 2014. ^ a b "2013년 Album Chart" (in Korean). Gaon Music Chart. Archived from the original on 27 December 2015. Retrieved 10 May 2015. ^ a b "Top Year 2013 – Albums". El Portal de Música. Productores de Música de España. Archived from the original on 12 June 2014. Retrieved 10 May 2015. ^ "Årslista Album – År 2013" (in Swedish). Sverigetopplistan. Archived from the original on 11 September 2014. Retrieved 2 March 2014. ^ "Swiss Year-End Charts 2013". swisscharts.com. Hung Medien. Archived from the original on 28 June 2015. Retrieved 22 January 2015. ^ Lane, Daniel (1 January 2014). "The Official Top 40 Biggest Artist Albums Of 2013". Official Charts Company. Archived from the original on 8 April 2015. Retrieved 10 May 2015. ^ "Billboard 200 Albums: Year End 2013". Billboard. Archived from the original on 12 December 2014. Retrieved 17 December 2014. ^ "Dance/Electronic Albums: Year End 2013". Billboard. Archived from the original on 13 December 2013. Retrieved 13 December 2013. ^ "ARIA Charts – End Of Year Charts – Top 100 Albums 2014". Australian Recording Industry Association. Archived from the original on 11 January 2015. Retrieved 7 January 2015. ^ "ARIA Charts – End Of Year Charts – Top 50 Dance Albums 2014". Australian Recording Industry Association. Archived from the original on 7 January 2015. Retrieved 11 January 2015. ^ "Jaaroverzichten 2014 – Albums" (in Dutch). Ultratop. Hung Medien. Archived from the original on 31 December 2014. Retrieved 29 December 2014. ^ "Rapports Annuels 2014 – Albums" (in French). Ultratop. Hung Medien. Archived from the original on 2 January 2015. Retrieved 29 December 2014. ^ "Album Top-100 2014" (in Danish). Hitlisten.NU. IFPI Denmark. Archived from the original on 8 January 2015. Retrieved 11 January 2015. ^ a b Gonçalves, Julien (19 January 2015). "Les meilleures ventes d'albums de l'année 2014 en France" (in French). Charts in France. Archived from the original on 23 January 2015. Retrieved 24 January 2015. ^ "Classifiche annuali 2014 'Top of the Music' FIMI-GfK: un anno di musica italiana" (in Italian). Federazione Industria Musicale Italiana. 12 January 2015. Archived from the original on 10 May 2015. Retrieved 10 May 2015. Click on "Scarica allegato" to download the zipped file containing the year-end chart PDF documents. ^ "Los Más Vendidos 2014" (in Spanish). Asociación Mexicana de Productores de Fonogramas y Videogramas. Archived from the original on 29 April 2015. Retrieved 10 May 2015. ^ a b "2014년 Album Chart" (in Korean). Gaon Music Chart. Archived from the original on 3 April 2015. Retrieved 10 May 2015. ^ "Årslista Album – År 2014" (in Swedish). Sverigetopplistan. Archived from the original on 2 April 2015. Retrieved 4 March 2015. ^ "Swiss Year-End Charts 2014". swisscharts.com. Hung Medien. Archived from the original on 1 January 2015. Retrieved 11 January 2015. ^ "Top Billboard 200 Albums: Year End 2014". Billboard. Archived from the original on 12 December 2014. Retrieved 17 December 2014. ^ "Dance/Electronic Albums: Year End 2014". Billboard. Archived from the original on 12 December 2014. Retrieved 17 December 2014. ^ "Jaaroverzichten 2015: Mid price" (in Dutch). Ultratop Flanders. Retrieved 15 August 2018. ^ "Rapports Annuels 2015: Mid price" (in French). Ultratop Wallonia. Retrieved 15 August 2018. ^ "ARIA Top 50 Dance Albums Chart 2017". ARIA Charts. Retrieved August 18, 2018. ^ "Top Dance/Electronic Albums – Year-End 2017". Billboard. Retrieved 22 December 2017. ^ "ARIA Charts – Accreditations – 2014 Albums". Australian Recording Industry Association. Retrieved 21 April 2014. ^ "Austrian album certifications – Daft Punk – Random Access Memories" (in German). IFPI Austria. 7 November 2013. Retrieved 28 January 2014. Enter Daft Punk in the field Interpret. Enter Random Access Memories in the field Titel. Select album in the field Format. Click Suchen. ^ "Ultratop − Goud en Platina – albums 2014". Ultratop. Hung Medien. 24 January 2014. Retrieved 2 February 2014. ^ "Canadian album certifications – Daft Punk – Random Access Memories". Music Canada. 6 December 2013. Retrieved 17 December 2014. ^ "Danish album certifications – Daft Punk – Random Access Memories". IFPI Denmark. Retrieved 30 July 2013. ^ a b "Daft Punk" (in Finnish). Musiikkituottajat – IFPI Finland. Retrieved 29 March 2014. ^ "Certifications Albums – Année 2013" (PDF) (in French). Syndicat National de l'Édition Phonographique. 18 December 2013. p. 8. Archived (PDF) from the original on 2 March 2014. Retrieved 2 March 2014. ^ "Gold-/Platin-Datenbank (Daft Punk; 'Random Access Memories')" (in German). Bundesverband Musikindustrie. Retrieved 4 March 2014. ^ "Irish album certifications – Daft Punk – Random Access Memories Day". Irish Recorded Music Association. Retrieved 3 February 2014. ^ "Italian album certifications – Daft Punk – Random Access Memories" (in Italian). Federazione Industria Musicale Italiana. Retrieved 2 January 2019. Select "2018" in the "Anno" drop-down menu. Select "Random Access Memories" in the "Filtra" field. Select "Album e Compilation" under "Sezione". ^ "New Zealand album certifications – Daft Punk – Random Access Memories". Recorded Music NZ. 10 February 2014. Retrieved 7 February 2014. ^ "Polish album certifications – Daft Punk – Random Access Memories" (in Polish). Polish Society of the Phonographic Industry. 14 May 2014. Retrieved 14 May 2014. ^ "Veckolista Album – Vecka 34, 23 augusti 2013" (in Swedish). Sverigetopplistan. Swedish Recording Industry Association. Archived from the original on 24 September 2015. Retrieved 28 January 2014. ^ "The Official Swiss Charts and Music Community: Awards (Daft Punk; 'Random Access Memories')". IFPI Switzerland. Hung Medien. Retrieved 14 August 2013. ^ "British album certifications – Daft Punk – Random Access Memories". British Phonographic Industry. 27 June 2013. Retrieved 2 July 2013. Select albums in the Format field. Select Platinum in the Certification field. Type Random Access Memories in the "Search BPI Awards" field and then press Enter. ^ a b Michaels, Sean (25 March 2013). "Daft Punk announce new album, Random Access Memories". The Guardian. Archived from the original on 19 April 2015. Retrieved 30 March 2013. French EDM godfathers continue their slow drip of information ahead of the album's May release [...] The long-awaited LP, the French duo's first with Columbia Records, is due on 20 May in the UK. ^ Westbrook, Caroline (5 May 2013). "Daft Punk's 'Get Lucky' tops first ever Spotify streaming chart". Metro News. Archived from the original on 8 June 2013. Retrieved 26 May 2013. ^ "Random Access Memories by Daft Punk". iTunes Store Australia. Apple. Archived from the original on 26 July 2013. Retrieved 24 March 2013. ^ "Random Access Memories by Daft Punk". iTunes Store Belgium. Apple. Archived from the original on 17 May 2013. Retrieved 24 March 2013. ^ "Random Access Memories by Daft Punk". iTunes Store Brazil. Apple. Archived from the original on 28 July 2013. Retrieved 28 March 2013. ^ "Random Access Memories by Daft Punk". iTunes Store Finland. Apple. Archived from the original on 26 March 2013. Retrieved 25 April 2013. ^ "Random Access Memories by Daft Punk". iTunes Store Germany. Apple. Archived from the original on 25 April 2015. Retrieved 24 March 2013. ^ "Random Access Memories by Daft Punk". iTunes Store Ireland. Apple. Archived from the original on 26 June 2013. Retrieved 24 March 2013. ^ "Random Access Memories by Daft Punk". iTunes Store Netherlands. Apple. Archived from the original on 6 August 2013. Retrieved 24 March 2013. ^ "Random Access Memories by Daft Punk". iTunes Store New Zealand. Apple. Archived from the original on 12 October 2013. Retrieved 24 March 2013. ^ "Random Access Memories by Daft Punk". iTunes Store Czech. Apple. Archived from the original on 17 March 2014. Retrieved 25 April 2013. ^ "Random Access Memories by Daft Punk". iTunes Store Denmark. Apple. Archived from the original on 3 September 2013. Retrieved 17 May 2013. ^ "Random Access Memories by Daft Punk". iTunes Store France. Apple. Archived from the original on 22 May 2013. Retrieved 24 March 2013. ^ "Random Access Memories by Daft Punk". iTunes Store Poland. Apple. Archived from the original on 10 August 2014. Retrieved 24 March 2013. ^ "Random Access Memories by Daft Punk". iTunes Store South Africa. Apple. Archived from the original on 4 February 2016. Retrieved 24 March 2013. ^ "Random Access Memories by Daft Punk". iTunes Store Canada. Apple. Archived from the original on 28 July 2013. Retrieved 24 March 2013. ^ "Random Access Memories by Daft Punk". iTunes Store Colombia. Apple. Archived from the original on 19 May 2015. Retrieved 24 March 2013. ^ "Random Access Memories by Daft Punk". iTunes Store Italy. Apple. Archived from the original on 12 February 2014. Retrieved 24 March 2013. ^ "Random Access Memories by Daft Punk". iTunes Store Mexico. Apple. Archived from the original on 20 July 2013. Retrieved 22 April 2013. ^ "Random Access Memories by Daft Punk". iTunes Store Russia. Apple. Archived from the original on 9 August 2013. Retrieved 24 March 2013. ^ "Random Access Memories by Daft Punk". iTunes Store India. Apple. Archived from the original on 14 December 2013. Retrieved 24 March 2013. ^ "Random Access Memories by Daft Punk". iTunes Store Japan. Apple. Archived from the original on 25 April 2015. Retrieved 24 March 2013.